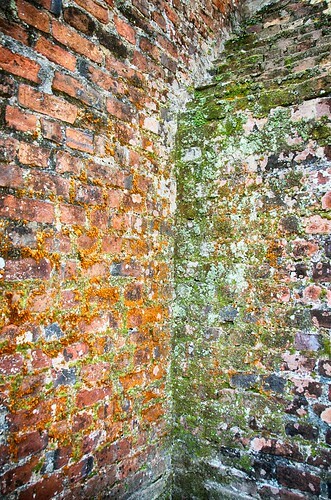 colourful moss on back of slave quarters at Boone Hall Plantation, Mt. Pleasant, South Carolina. 15 people in one small building. the slaves made the majority of bricks in the area, which were found far and wide.